In the top 1% of realtors based on sales volume, Melissa Siegal is a name that has become synonymous with results. Founder of the Melissa Siegal Group, Melissa has been described as a patient, results-oriented professional. Melissa's extensive knowledge of the luxury market (average sales price: $510,000) and other markets in the city of Chicago, offers her clients a range of expertise”coupled with a certification in negotiating (CNE)”that is imperative when protecting her clients™ best interest throughout the home buying or selling process. Melissa has been a Top Producer with the Chicago Association of Realtors (CAR) for the past six years in a row; a testament to her work ethic of over $200 million closed and over 500 real estate transactions made. As both an agent and owner of a real estate business, Melissa seamlessly oversees the Melissa Siegal Group, which leverages a unique marketing platform that includes both online and offline elements to achieve ideal property exposure. For sellers, this culminates in homes being on the market for an average of 38 days, with an increase of 102 percent from the original asking price to the final sales price. Whether you are a seller, first-time or repeat buyer, a renter or an investor, Melissa will guarantee that your needs are listened to and met. As a hands-on broker, Melissa's clients know that she will be there to assist them every step of the way. Melissa is a Chicago native, for the last nine years residing in the River North area and previously in the northern suburbs. She graduated from the University of Iowa with a Bachelor of Business Administration degree specializing in finance. Melissa resides in Chicago's Silver Tower, where she has sold over 65 condominiums in the luxury high-rise alone. 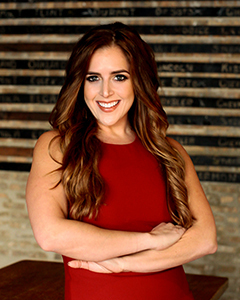 In her free time, Melissa enjoys traveling the world, practicing yoga, spending time with her family, friends and dog, Blake, and exploring all Chicago has to offer. Contact Melissa today to start your real estate journey (312) 515-8007.